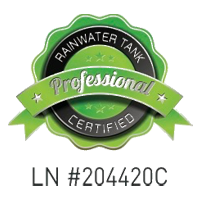 Aussie Water Savers is the leading Manufacturer for Rainwater Tanks in Sydney. 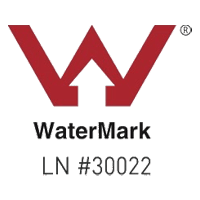 The highest Australian standard of any plumbing fittings or accessories is the Watermark stamp. We hold this in high regard and undertake a stringent annual auditing process from the Governing body the Australian Building Codes Board. 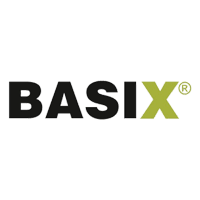 We are committed to supplying Australian households and businesses with high quality Rainwater Tank harvesting systems. 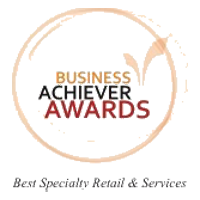 Aussie Water Savers is the leading award-winning water tank manufacturer in Sydney. 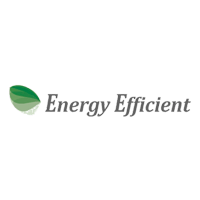 The company has saved 2 million litres of water for Australian households during an impressive 35 years in the industry. Want to know what makes our tanks award-winning? All our tanks are Australian made with quality raw material. Not only that, we’ve got a huge range of sizes and shapes to fit any project. 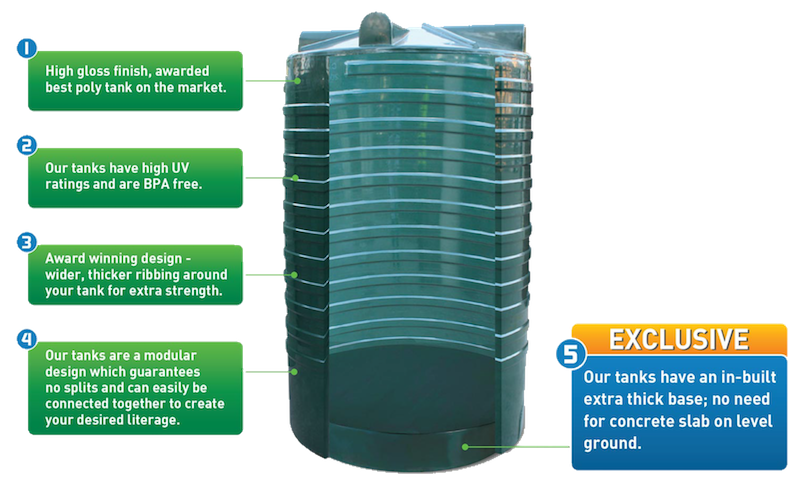 Our water tank design is unique by being BPA free and delivers high UV rating. Our poly water tank design is the best on the market and our above ground water tanks also feature an in-built extra thick base, meaning there is no need for the added hassle of installing a concrete slab. We have water tank designs to perfectly suit your needs and space. All of our tanks are guaranteed to not split as they are seamlessly designed with no joints. Concerned about the longevity of your investment? 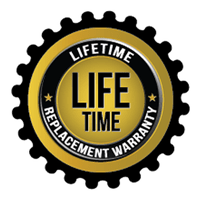 No problem, on top of our consumer guarantee, we offer a life time warranty when we install an Aussie Water Savers brand tank and service your tank on a regular basis. Our slim rainwater tanks are ideal for small spaces and are perfect for narrow installation areas. They are only 700mm wide, which means you are not sacrificing any space for your rainwater tank. Our round rainwater tanks suit a growing family, or an avid gardener and our underground rainwater tanks are perfect for making the most of your property. We can even install it under your driveway, if space is at a premium. 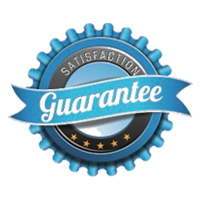 Our water tank design is of the highest quality and holds WaterMark approval, meaning we are delivering the best product for you. 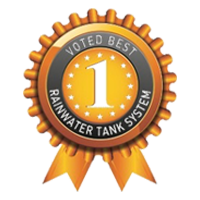 We are proud of our reputation as an award-winning Australian water tank manufactuer and to ensure we keep up with our sparkling reputation we individually test each tank for its thickness, durability and quality. 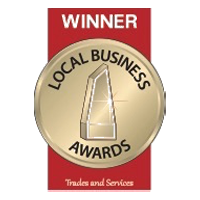 We are not only committed to being the best watertank manufacturers but also delivering great customer service. We can even design a water tank which is unique for your space and needs. The team at Aussie Water Savers can manufacture and install a system which can fit between doors, windows, and even air conditioners and hot water systems. We will make the perfect water tank for your needs.